I am so glad to be here for Week #38!!! What a treat it is to get to do this again this year!! 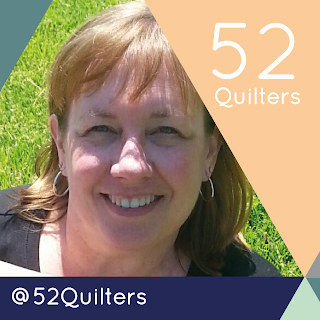 I will tell you a little about myself, so that you can get to know me and my journey as a quilter. I have been piecing quilts since the late 1990's, when a group of ladies in a church I was attending started a class for beginners. I have kept this quilt as it is a good reminder of how far I have come in my journey. In 2009, I purchased a Handi Quilter Sweet Sixteen Sit Down Long Arm, and took the free motion skills I had learned to do on my domestic machine and just started to quilt as much as possible. I fell in love with free motion quilting!! In 2012, I decided to quit my job as a phlebotomist and become a long arm custom quilter, but decided it was in my best interest to get a stand up machine...a Handi Quilter Avante, which has run like a dream ever since I purchased it!!! 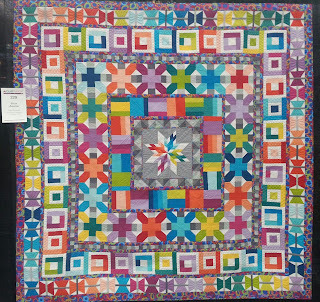 I quilted my first customer quilt in early 2013 (I was scared to death and so surprised that someone wanted to entrust their quilt to me), and that quilt ended up winning a Reserved Grand Champion award at the County Fair that summer. I was thrilled...as was my customer. Her workmanship was amazing!! After that, my business has flourished and I have enjoyed every minute of it. 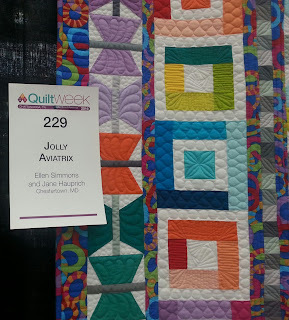 I still love free motion quilting best of all!! There is so much to tell and I will try to share more this week, as I get time to write. I now quilt for customers (mostly all freehand custom quilting), and about 2 years ago, I began locally teaching classes for free motion quilting on domestic machines and long arm machines. Teaching has also become a passion of mine as I love to see the light in a quilters eyes when they realize that they can do free motion quilting regardless of what machine they are using!! How many of you do free motion quilting? Last year was my year to start sending out proposals to larger quilt shows in hopes of being chosen to teach.......but with very little expectations that I would be chosen. Boy was I surprised, as MQX brought me on as a teacher, as did AQS. This coming year, I already have contracts to teach at MQX and Birds of A Feather, with some other venues in the works. I have also become a Handi Quilter National Educator, which has been so wonderful and amazing!! I am loving travelling around the country and teaching for them!! 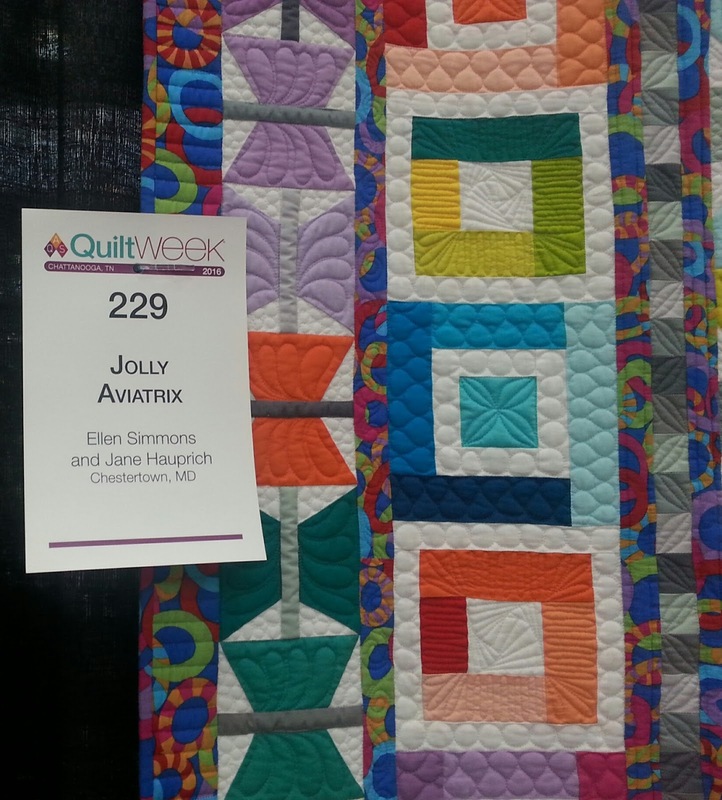 This past week, I was at the AQS Chattanooga show working in the Handi Quilter Booth!! Who doesn't love to talk to quilters and be among all of those beautiful quilts?!?!?!?!?!!!! 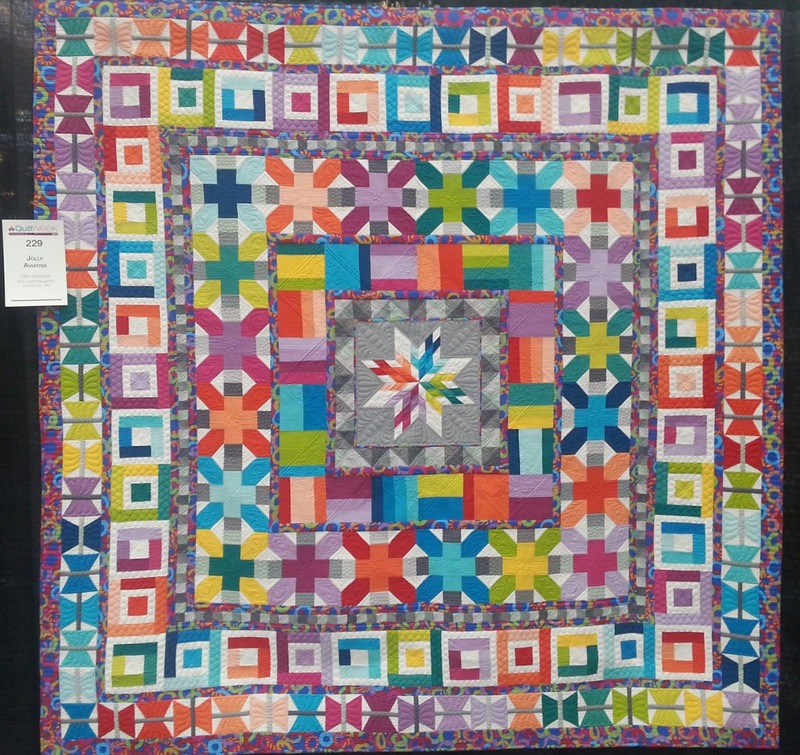 A customer of mine, did have a quilt juried into the AQS Chattanooga show, so I was able to stop by and see it in person. I have to say that I have met so many amazing people who I would not have met without getting into this quilt business!!! I am so grateful to those people that have given me advice along the way and more importantly to my customers and students!! I already have plans for my next post, which I will try to get out in the next day or two!! 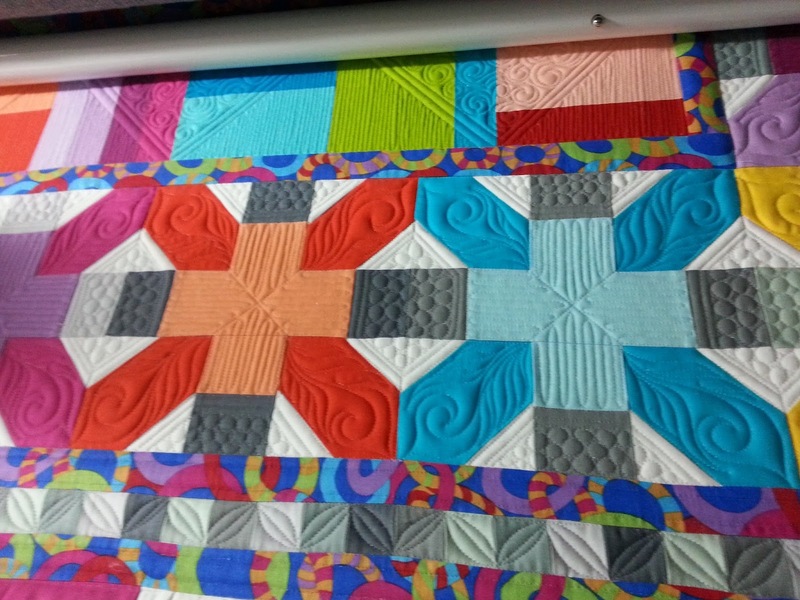 Until the next post.....Happy Quilting!! !